Bolton-based Forrest looks to increases fuel economy and cut driver related risk with GreenRoad. 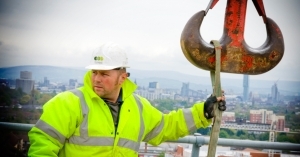 Bolton-based Forrest is a leading provider of essential refurbishment and responsive maintenance services to the social housing market in the North of England and is the top regeneration specialist for the region. Good customer service is paramount to their success and their Code of Conduct, created in full consultation with their customers, has been designed to ensure they deliver service excellence. Looking to strengthen its active commitment to the environment, social housing regeneration specialist Forrest embarked upon a massive fleet update using carbon-efficient vehicles. The update will occur in phases until the company’s entire fleet was carbon efficient. Forrest took the decision to update following an extensive review of its fleet that demonstrated that a switch to newer, more environmentally-friendly models would produce considerable cost and emission savings. The fleet review was part of Forrest’s enrollment into the Energy Saving Trust’s Plugged-in-Fleets initiative — one of only five companies outside of London invited to take part. In order to ensure that Forrest derived the most value from its investment, each new vehicle was to be equipped with a driver safety system. Before selecting GreenRoad, the company first ran a trial at Forrest’s Leeds branch office. “We chose the Leeds office because it was a location where the entire team of 10 liaison officers worked out of a single location. They would all drive the same car every day and end up back at the office at the end of each day – perfect for evaluating performance on a regular basis,” said Vicky Lee, quality and environmental manager at Forrest. Initially, some drivers in the trial even took it a bit too far. “Some drivers started driving too cautiously. Although they were achieving impressive zero scores, it was taking them too long to get around,” recalled Lee. “We told them that we didn’t want driving to interrupt their work but just to drive sensibly. Their scores only went up a point on average but they felt a lot more comfortable,” said Lee.